Video Converter Max Pro is an easy to use tool to convert your video files to various video formats. 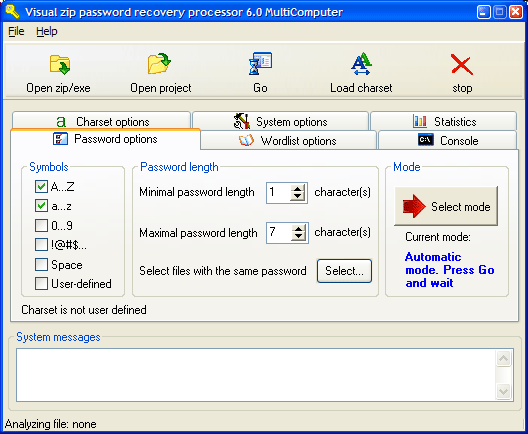 The program features are: 1)Easy-to-use design. 2)Support the most popular video formats. 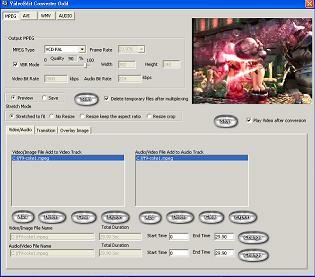 3)Preview the input video files before converting. 4)Automatic generation for output file names. 5)Variety range of encoders and decoders. 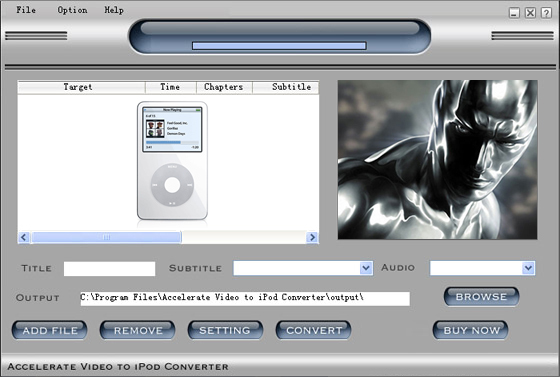 6)Supported Input Video Formats: Any video File that encoded with any of the following codecs: 4X Video , American Laser Games Video , AMV , Apple Animation , Apple Graphics , Apple MJPEG-B , Apple QuickDraw , Apple Video , Asus v1 , Asus v2 , ATI VCR1 , ATI VCR2 , Autodesk RLE , AVID DNxHD , AVS video , Bethsoft VID , C93 video , CamStudio , Cin video , Cirrus Logic AccuPak , Creative YUV , Duck TrueMotion v1 , Duck TrueMotion v2 , DV , DXA Video , Electronic Arts CMV , Electronic Arts TGV , Electronic Arts TGQ , FFmpeg Video 1 , Flash Screen Video , FLIC video , FLV , Sorenson H.263 used in Flash , Fraps FPS1 , H.261 , H.263(+) RealVideo 1.0 , H.264 , HuffYUV , IBM Ultimotion , id Cinematic video , id RoQ , Intel Indeo 3 , Interplay Video , KMVC , LOCO , Microsoft RLE , Microsoft Video-1 , Mimic , Miro VideoXL , Motion Pixels Video , MPEG-1 , MPEG-2 , MPEG-4 , MSMPEG4 V1 , MSMPEG4 V2 , MSMPEG4 V3 , MSZH , On2 VP3 , On2 VP5 , On2 VP6 , planar RGB , QPEG , RealVideo 1.0 , RealVideo 2.0 , RealVideo 3.0 , RealVideo 4.0 , Renderware TXD , RTjpeg , Smacker video , Snow , Sony PlayStation MDEC , Sorenson Video 1 , Sorenson Video 3 , Sunplus MJPEG , TechSmith Camtasia , Theora , THP , Tiertex Seq video , VC-1 , VMD Video , Used in Sierra VMD files. , VMware Video , Westwood VQA , Winnov WNV1 , WMV7 , WMV8 , WMV9 , Xan/WC3 , ZLIB , ZMBV. 7)Supported Output Video Formats: AVI, ASF,WMV,MOV, FLV, MPG, MPEG,MP4, RM,YUV with the following video codecs: ASUS V1, ASUS V2, VC3/DNxHD, DV (Digital Video), FFmpeg codec #1, Huffyuv FFmpeg variant, Flash Screen Video, Flash Video, H.261, H.263, H.263+ / H.263 version 2, Huffyuv / HuffYUV, libdirac Dirac 2.2.